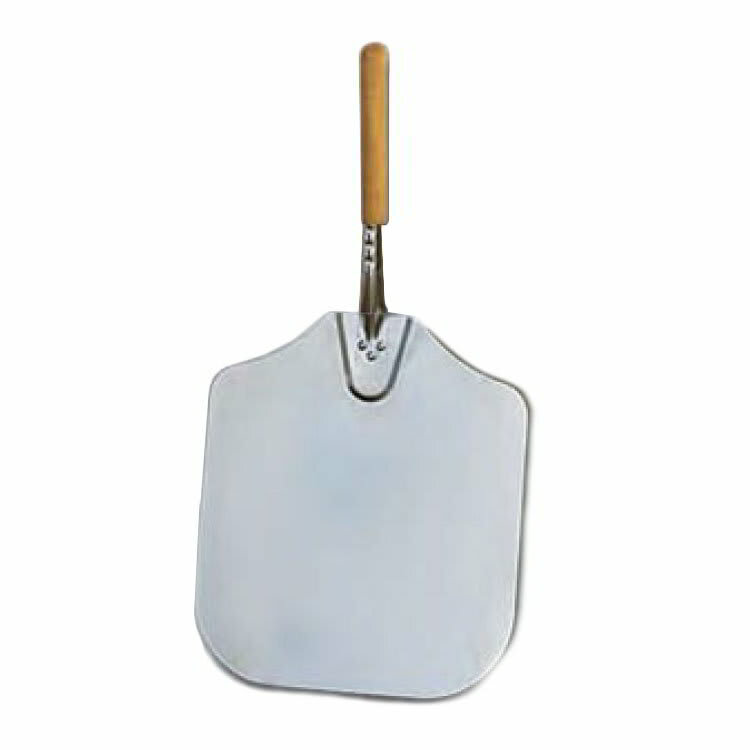 The American Metalcraft 2814 pizza peel’s durable aluminum blade resists bending, scratching, and rusting. Its tapered edges slide gently under pizzas, and its comfortable wooden handle protects the user from high heat. This peel provides establishments with a traditional aesthetic and can double as a cutting or serving board. "It has been a huge time saver for me. Makes pizza making an absolute joy. I don't know how I survived without it." "I bought this for using with my artisan bread baking. I like that it's metal and very easy to clean. It makes sliding the bread dough onto my ba..."
"I'm not sure how they can sell these peels for this price. Great product. I should've bought 2 for making several pizzas at once." "I bought this for using with my artisan bread baking. I like that it's metal and very easy to clean. It makes sliding the bread dough onto my baking stone very easy. Due to the size I keep it between my stove and another base unit inside a cover I made for it. Delivery was great." "This works great. 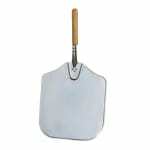 The short handle makes it easy to use with my oven and the larger paddle size makes it easy to make a larger pizza. Need to sue a lot of corn meal to prevent sticking though..."